The Amazing Spider-Man, starring Andrew Garfield and Emma Stone, opens nationwide in theaters on July 3, and the Paley Center is teaming with Columbia Pictures and a web of New York cultural institutions planning a citywide celebration of Spider-Man Week NYC. 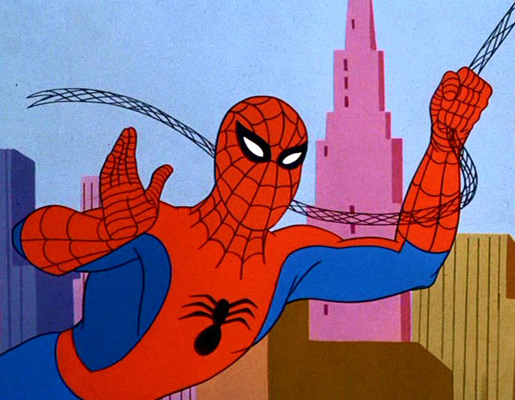 Join us as we remember previous iterations of this quintessentially New York superhero by screening selected episodes from two classic animated TV shows—Spider-Man (1967–70) and Spider-Man & His Amazing Friends (1981–83)—plus installments of the brand-new Ultimate Spider-Man (2012-present). The Paley Center will be screening three episodes daily, starting at 3:00 pm.